How do you remember No Line On The Horizon? The special double vinyl anniversary edition is out this Friday, marking ten years since release. 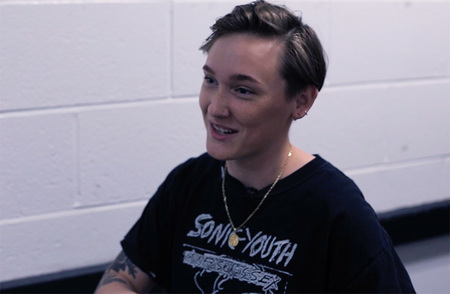 Where do you place 'No Line' amongst all the band’s long players? Is it right up there? What are your best tracks and what ones have never found the attention they deserve? Give the album a play and let us know what you think ? Add your 'No Line’ reviews, memories and comments below. Better late than never to share my personal No Line On The Horizon experience..... I was really into U2 prior, but 2009 was the year I officially became a fan of the band. My love for the band and their music flourished onwards from that year. No Line On The Horizon and the 360° Tour was the first album and tour that I first followed by the band. I unfortunately didn't attend any tour shows back then, but that all changed in 2015 in my home city of Belfast on the #U2ieTour - absolutely fantastic by the way! Given that 2009 was the year that I became an official fan of U2, NLOTH had a big impact on me. Although in the beginning, a quite difficult album to get into, especially given the fact that I was a teenager around 17, the album long-term grew on me massively and I love it to this day. To mark it's 10th Birthday/Anniversary, not only did I buy the two newly remastered vinyls (black and ultra clear), I also replayed the album again which I love to do with my U2 collection. Moment of Surrender for me is the best song on the album and a big favourite. Magnificent and Breathe (thought at the time it should and would have been a bold single choice) are other big favourites. 10 years on and I'm really happy to say that NLOTH has aged very well. I'm fascinated to know if in the future the album will have another commemorative release with outtakes/early versions included from the NLOTH sessions. That would be awesome to go deeper into NLOTH! I'm greatly fond of this album and I will always appreciate this work from the band along with the many incredible experiences it gave me from 2009 onwards. It's an album that fans, if they haven't already, SHOULD go back to and relisten, rediscover. Happy 10th Birthday/Anniversary NLOTH. “Let Me In The Sound”. This album is cohesive and beautiful, but unfortunately "boots" is the weakest song on the album and I feel like it lost some folks at the gate. Moment of Surrender, Magnificent, Breathe, and Unknown Caller among the best U2 compositions, hands down. Ethereal tracks like Fez and Cedars made this album as a whole more like the Unforgettable Fire of the 2000's. It was a fine 3rd album to that bookend work to ATYCLB and HTDAB. Their catalog of fine tracks just grows with each new album... they could perform entire concerts dedicated exclusively to the decades they have created in. I just wouldn't be able to choose which show to see first. Three-Thirty-Tree when the numbers fell of the clock face. Greatest line on the album if you know the meaning. The title says it all. They are not ready to roll over yet, they don't see the end... Love this album. Love this band. Love every album, for different reasons. 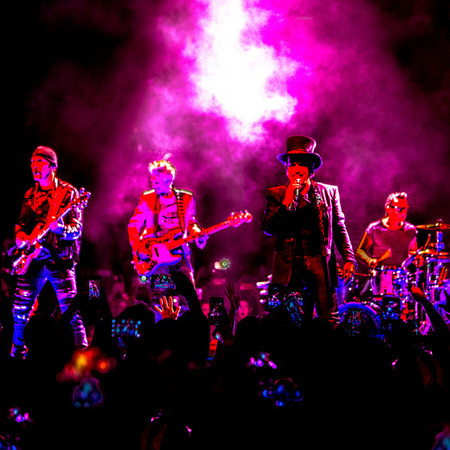 U2 are darned by some for trying something 'too different' then darned by others for doing something 'too the same'... For me every album is an experience on it's own at a time in the bands history where what they were doing made sense and came from their hearts at that point in time. In saying that it's very difficult to compare albums. Each album is 'perfect for it's time'. No :Line has some of my favorite album songs and some of my favorite live tracks. Absolutely a classic album for me. When people go looking for negatives in something that's what they'll find. When you go looking for positives and inspiration what you discover will be Magnificent! No Line came out when I was 16, I'll always remember it as the album that got me through high school. Extraordinary sounds, even better solos (Unknown Caller, Breathe, slide solo on Moment) what an album. I even remember hearing Magnificent being played everywhere. Malls, grocery stores, restaurants. It was a great feeling. You could argue about some mixed feelings on the album, and like Eno said, Moment should've been the first single and only U2 could pull that off. However, Why play it safe. Boots does have an alarming quick sound. The sound of a band wanting more from this world. Although the soundtrack has amazing lyrics, something that sticks with me is one from Cedars of Lebanon... "Choose your enemies carefully cos they will define you Make them interesting cos in some ways they will mind you They're not there in the beginning but when your story ends Gonna last with you longer than your friend"
I remember waiting desperately for this album getting up to listen to the first air play on the radio. I listened to "get on your boots" and hate to admit I was surprised I didn't love it. It's funny actually because even today, GOYB is not one of my favourites. However, I bought the album (of course) and very quickly fell in love with NLOTH and, in my opinion, the song of the album - "Moment of Surrender". Moment of surrender is such a beautiful song. Would I consider NLOTH a classic album.....hummm...not sure to be honest. I think U2 have better albums. To be honest, I had fallen out of love with the band at the beginning of the new century. This is SUBJECTIVE, and I don't want to offend anyone else's opinion, but ATYCLB and HTDAAB are not very good records. Yes, there are some great tunes, KITE comes to mind, but overall I felt that the band were chasing the $ instead of making great art. But the band and I go back to '83, so every record gets a chance. I remember getting this CD at work (I worked for a music company) and saving it for the long commute home, where I could really sit with it, instead of at my desk. No Line comes on and I'm like, "ok, this is cool". Then Magnificent, and I'm like, "this is good and very U2. Ok I'm listening boys...". Then Moment of Surrender, and I'm thinking, "Damn! this is great and I've never heard Bono sing like this before!". Fourth, I hear Unknown Caller and it's "Oh Oh Oh Oh's" and I begin to weep! The band has returned to me, and we're back in love! Las Vegas was the first of 3 shows that I saw on the 360 tour, and I wept 4 times. Now, maybe I'm a big baby, or maybe it's something less tangible and deep. I don't know, but I am very grateful for this record, and it has helped me through some rough times in the years since. Try singing the 'Oh Oh's' from Unknown Caller at the top of your lungs and not get emotional. Thank you boys! I remember awaiting the release of "No Line On The Horizon" with great anticipation ten years ago. Listening to it for the first time I was excited to discover a wide diversity of sonic landscapes and lyrics. U2 really succeeded to connect their classic sound with an experimental approach. I have always appreciated the band´s courage to explore new possibilities with an amazing album connecting heavy guitars with Arabian influences, gospel chants with ambient elements, energy with atmosphere. The title track starts like a thunder, with an intensity translating the maritime images and metaphors of the lyrics into a sound that´s as powerful as a wild breaking of waves. The record´s atmospheric cover perfectly expresses the feeling of eternity that song evokes. With its pure beauty "Magnificent" also belongs to my favourites as it deals with the theme of universal love as a healing power. Starting with the sound of birds and Edge´s bright guitar notes, "Unknown Caller" is another gem, with lyrics unfolding a great sense of positivity as they let us hear instructions that might come from God. Wonderful songs like this one clearly reveal the spiritual dimension of the album. I also love "Fez-Being Born", which is one of the most impressive pieces that loosens up song structures in favour of experimentation with subtle layers. I´m stll fascinated by the way its ambient beginning abruptly turns into a feeling of speed and restlessness. 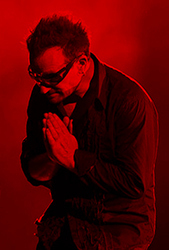 Lyrically, the album both includes tracks written from the perspective of different characters and some of Bono´s personal reflections partly filled with self-mockery. For me every U2 record is special and it´s hard to decide which is my favourite one, but I think NLOTH is still one of the band´s most complex and mature pieces of work. This album is too underrated with a lot of masterpieces like Moment of surrender or Unknown caller ! I love this album with its particular atmosphere. I Know I'll Go Crazy If I Don't Go Crazy Tonight's chorus was catchy, and the bridge guitar riff from the Edge was fantastic. Shame the original was only played a few times live. White as Snow also reminded me of my brother taking us for drives, or going down island after taking a ferry. NLOTH, JT, AB, & SOE are my favorites. Depends on my mood but most days NLOTH is my favorite. However the remastered LP of NLOTH I just listened to. I was totally blown away. It was as if I had never heard my favorite LP. This remastered version is magnificent, really magnificent. Thanks, Edge, Scott, and Nadine. Absolutely brilliant. For anyone who may be interested, I represented a paper on NLOTH at the first U2 conference. Contrary to popular reports, NLOTH was actually extremely well received. Here is a summary of reviews from 54 newspapers. Ratings of No Line on the Horizon in Percents by Country Album Rating US	UK	Ireland	Overall Well above average (Best, one of the best) 20%	44%	66%	33% Above average 60%	28%	17%	45% Average (OK, worth a listen) 10%	17%	0% 11% Below average 0%	0%	0%	0% Well below average (time to quit) 10%	11%	17%	11% In my opinion, NLOTH is a great work of art to be judged by different standards than JT, AB, & SOE, all of which I love. But I consider NLOTH U2's masterpiece. For me, Moment of Surrender was the outstanding track. I remember the album was a midnight launch and texting my brother in Australia about it. I think folks are over critical about it as all of the albums either as individuals or as "sets" all combine together to form the basis of how the band has evolved. Its not always about commercial acclaim, it captures the band at a certain point in time influenced by what was happening i expect within the band and externally in the world at the time. We also know that each album is influenced by literary and musical points of focus at that particuliar time. The DVD that accompanied the album was an interesting representation of how the songs fitted together. I think people need to loosen up about the album and just take it as a jigsaw piece that maybe feels awkward but does fit into the overall U2 story. From Spain, I remember this album, because for me it was a wonderful year. With this CD, I traveled the Nile on a lightning trip with my wife to Egypt, I love it, but before we had been in Barcelona at the inauguration of the 360º concert. Then we went to meet our son, adopted no less than Altai Siberia, with the background music of this album, for me it will always be part of our bibliography. They had their chance with NL to redo POP, to fix what they felt they'd left unfinished with that album. I loved POP because of everything it was--and wasn't. Mainly a band willing to take a risk during the height of their musical powers and power in the music industry. That it was unfinished is what makes it great in many ways. There are some fantastic tracks on this NL album, but in many cases it is quite obvious where the band pulled back, where they were afraid to go where they'd gone before. Afraid of history repeating itself. Fear is the enemy of art in many ways and U2's fear of a second "failure" has led them more times than not to remain safely in the slipstream of mediocrity. Remember Passengers? Brilliant. We all know what this band has done and what this band is capable of doing. I had hoped this album would have been a return to relevance. It wasn't. It is is a good album, but far from great, and falls short of what they were afraid of . . . POP the bubble of security and take some risks. U2 will already go down as one of the greatest . . . keep pushing. The only word that came up my mind after listen to it for the first time was Masterpiece - and it still is. It was the soundtrack of my life then, still is a part of it now, with the twist of great unique memories for which I can only thank you, and in several ways a soundtrack of these days. MOMENT OF SURRENDER "... I've been in every black hole At the altar of the dark star My body's now a begging bowl That's begging to get back, begging to get back To my heart To the rhythm of my soul To the rhythm of my unconsciousness To the rhythm that yearns To be released from control ... "
A very good album, but not like JT and AB. For me POP, SONGS OF EXPERIENCE, HOW TO DISMANTLE AN ATOMIC BOMB, are superior of this album. Definitely one of my favourite U2 albums and brilliant tour. Thing is though, I pre ordered the clear vinyl version on this site, now how do I purchase it? 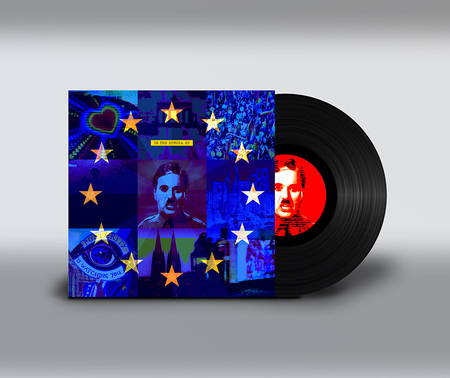 Incredibile album, the best from zooropa and Achtung baby for me. I Hope One day to listen again live this Album...all Great songs. It's a fun album, and I do appreciate the risks that the band took. And as a graphic artist, I love the package design. 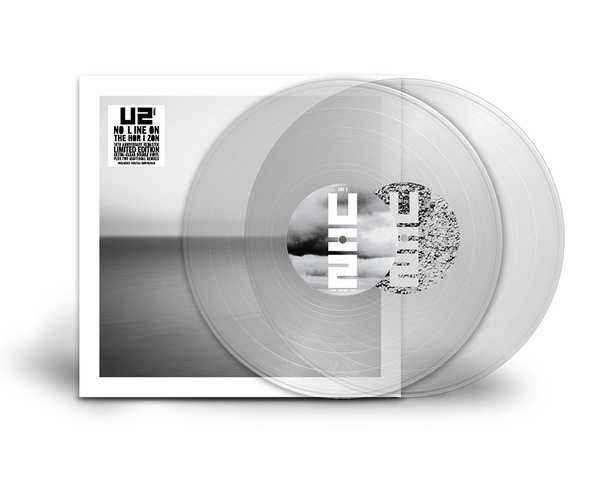 I'm looking forward to picking up my copy of the clear vinyl edition at my local record store tomorrow. 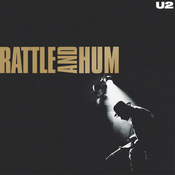 After that, I will be one album away from completing my U2 vinyl collection: Rattle and Hum. I hope the band will reissue R&H this year. 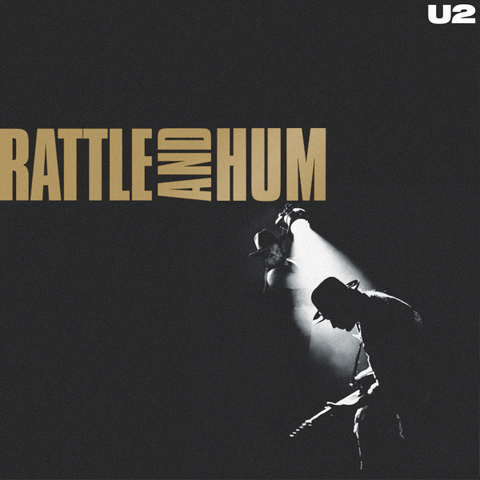 I would like a special edition that includes album, B-sides, R&H movie (code to purchase streaming version), additional footage/outtakes from filming of R&H movie, audio/video of entire McNichols Arena concert prominently featured in the R&H movie, and a story/photo book similar to the ones with previous reissues. One can dream! 15-year-old, I became an fan when I first heard Magnificent on the Radio...what an unbelieveable great song! I think the song is the starting Point for their Dance.oriented rock Music today. The Album has a different Feeling but at least it has an own atmosphere ...I still like to listen to it sometimes. ...I'd love to hear an whole Album like Magnificent!